Building One and Two are currently under, lets say, a 192.168.2.0/24 subnet. The current setup is that everything from Building Two goes through Ethernet to Building One. There are two routers; the default gateway at 192.168.2.2, which routes data through MPLS if needed and if it doesn't know the route, sends it to 192.168.2.1, which is connected to the Internet. The idea is to add two DD-WRT routers at Building Two, as they are getting their own internet. What I want to do is have 192.168.2.4 be at the end of the Ethernet drop between the buildings, with the WAN port having an IP address of 192.168.3.2. This will be the default gateway for the 192.168.3.0/24 subnet. The other router, 192.168.3.1, will be hooked up to the Internet. Then, I would have a static route on 192.168.3.2 that says any traffic in the 192.168.2.0/24 network should go to 192.168.2.2, as well as static routes for the other networks connected through MPLS. All of the routes are fine except for the one that connects it to 192.168.2.0. When I try to create the route, it just sends it to 0.0.0.0, and 0.0.0.0 routes traffic either back to 192.168.3.2, or to 192.168.3.1, which doesn't know what to do with the traffic. How can I force this route to work? If there is an easier way to do this, please let me know, but I think this is as simple as it gets. Sorry this doesn't answer your question but are you planning on using dd-wrt for production or testing? There hasn't been a new release since 2008 as far as I can tell. UPDATE: I can add the route, but it doesn't delete the other one, so the router gets confused and stops letting me connect to it. SpectorSoft is a Spiceworks partner. I'm running DD-WRT at my house and while I haven't updated it in quite some time, the build date on the version I am running is 03/25/2013. I was planning on using it production, but if someone can offer a better solution I would gladly take it. I was told to work with what I had first, but if necessary, I could buy something. Ditch your consumer router now. Move to the Meraki Z1 teleworker gateway. You get smart manageability, quarterly updates with new features and fixes and zero problems configuring what you are trying to do. You should be able to get this for under 175 a router and support only costs 25 a year. This thing is so inexpensive for the feature set that it beats the pants off of ANYTHING you can pick up at a local store. 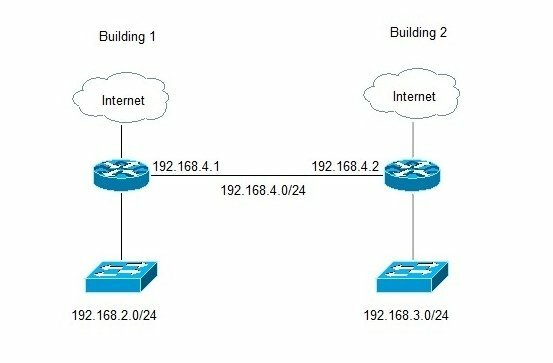 Wouldn't I need multiple WAN ports for this? The documentation I see provides only 1 WAN port. Or are you saying that if I went this route, I would need to purchase both devices? Does anyone else have any suggestions? I need to get this working and I am not getting anywhere. Ubiquity makes some great routers that fit almost any budget. Starting at 3 ports, they also have 5 and 8 port models. The larger models have POE as well which is great for running devices like access points. They also make access points, switches and cameras. They are a good vendor to get to know. One of the bonuses I like about them is unlike Cisco products and the like they don't require any type of subscriptions. Newegg lists the 3 ports for $99 delivered through their market place from Flytec computers. I'm purchased 4 of them and a hand full of AP's through Flytec so far received them promptly every time. 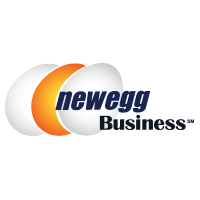 They also list them on the Newegg Business site. When you set them up you can choose what each port is used for, you can have multiple WAN and LAN ports. I tried to link the subnets between routers earlier (I saw the same article), but the issue is that the router 192.168.2.4 is not allowing me to create a static route that says all 192.168.2.0/24 traffic should go to 192.168.2.2. It tries to just send it to 0.0.0.0, which then sends it to 192.168.2.4, creating a loop. I have worked with Ubiquiti before, but again, I need to be able to have multiple WANs right? I have 2 different networks here (Building1, Building 2, and the ISP network). So in building one you'd route all traffic destined for 192.168.3.0/24 to 192.168.4.2 and in building two all traffic destined for 192.168.2.0/24 would rout to 192.168.4.1. Assuming your main WAN is eth0, the bridge is eth1 and your LAN is eth2. Again, I'm no network expert, just trying to make sure I'm understanding what you are doing correctly. The above should be possible with DD-WRT or another other hardware, I just suggest Ubiquity because DD-WRT usually runs on consumer grade hardware which may not hold up over time to heavy use. It should work fine for testing though, I haven't used it for some time but setting up routes should be pretty easy through the GUI if I remember correctly. I'm sure if I'm way off on the configuration someone more qualified can chime in. I just wanted a visual aid to try and understand better. Assuming I summed up the goal properly in the image.